Both Florida State’s skid and NC State’s run as an undefeated team are over. The Seminoles ended their 3-game skid and evened their ACC record with a 7-5 victory in Raleigh on Sunday. FSU (14-4) scored three runs in the second to open the scoring. After NC State got on the board in the third, Florida State opened things up with three runs in the fifth and one in the sixth. After coming back from four runs down the night before, NC State made things interesting with three runs in the sixth and one in the eighth. Down 7-5, the Wolfpack loaded the bases but Chase Haney got Patrick Bailey to line out to Resse Albert to end the threat. Nico Baldor, J.C. 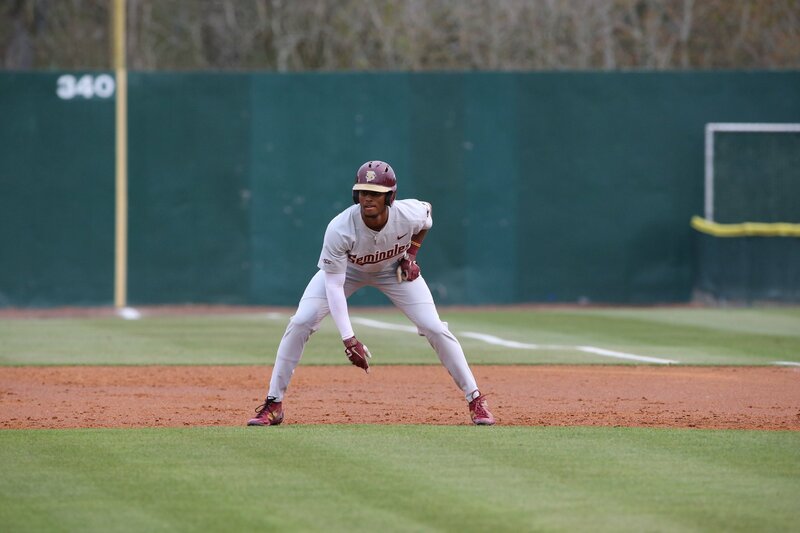 Flowers and Nander De Sedas all had two hits and two runs scored for FSU in the victory. De Sedas plated two runs while Flowers had the game’s only homer and pitched a scoreless ninth to earn the save. Albert also had two hits and two RBIs. FSU starter Shane Drohan walked five, but allowed just a run on three hits in five innings to earn the win. NC State Michael Bienlien lasted just 1.1 innings, allowing three runs to take the loss. At the plate, Evan Edwards and David Vasquez each had two of the seven Wolfpack (19-1) hits. Vasquez also drove in a pair of runs in the loss. Up next for FSU is a home contest with UCF on Tuesday.